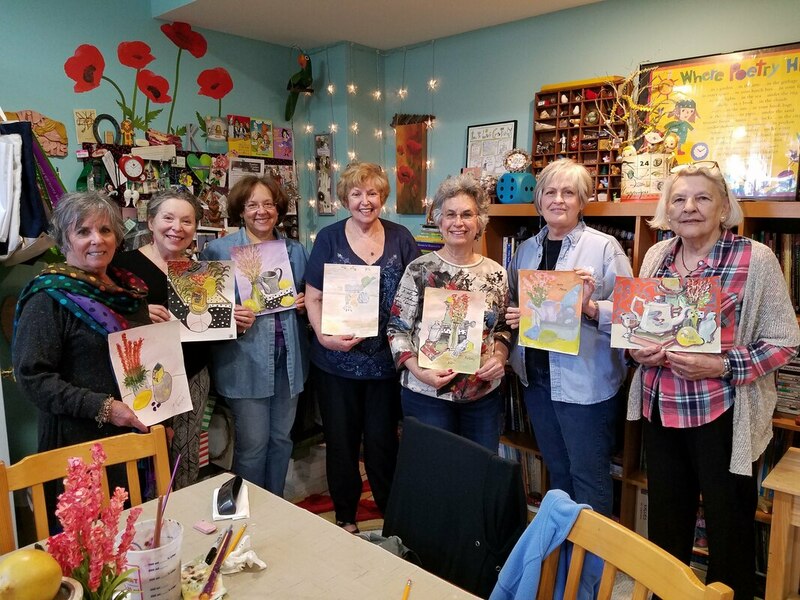 Girls' Nite Art at Yellow Brick Road Studio! Your place or mine? Sometimes here at the studio...Sometimes at your place! My focus is on gathering and empowering women using art and making. Open to adult women. Feel free to invite your friends. I'll need at least 5 to hold the class. Book one at your place OR check out some current offerings HERE! Classes so fun you can't help but burst into song!